A very good morning to you!! 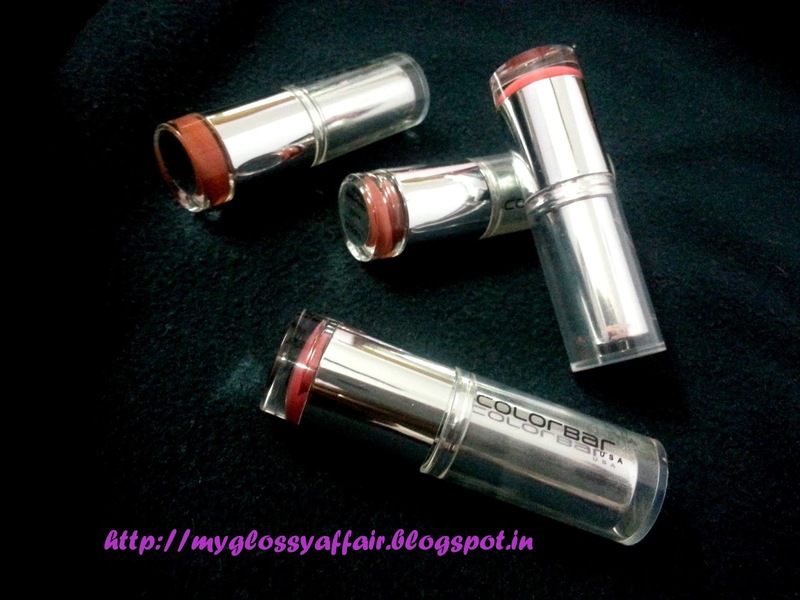 Recently, I did a small purchase from Colorbar and that too of lipsticks only. Such amazing shades they have got and at a very decent price of Rs. 275/- only. 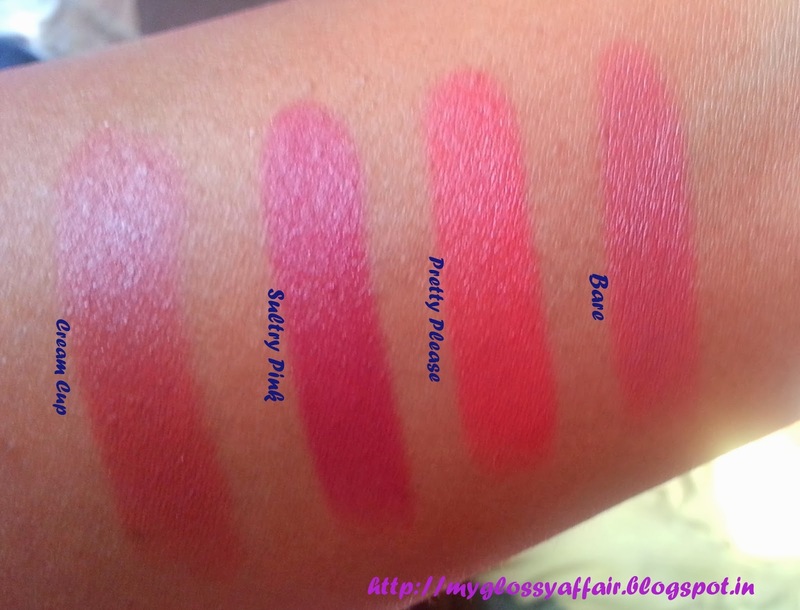 I got 4 Colorbar Velvete Matt Lipsticks – Sultry Pink, Pretty Please, Cream Cup and Bare. 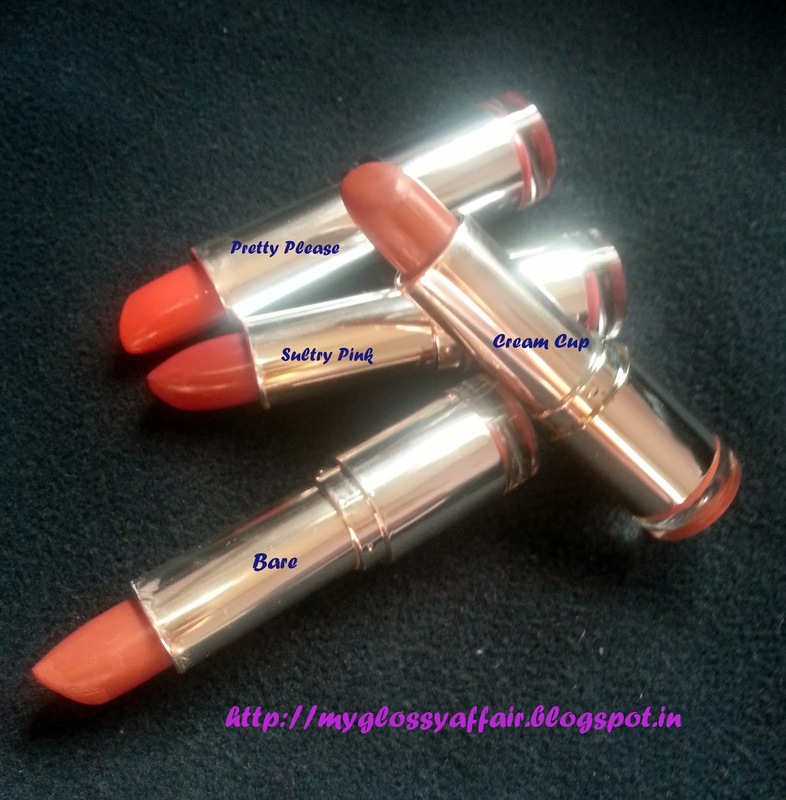 Sultry pink is an almost dark pink which will suit Indian skin tones well. 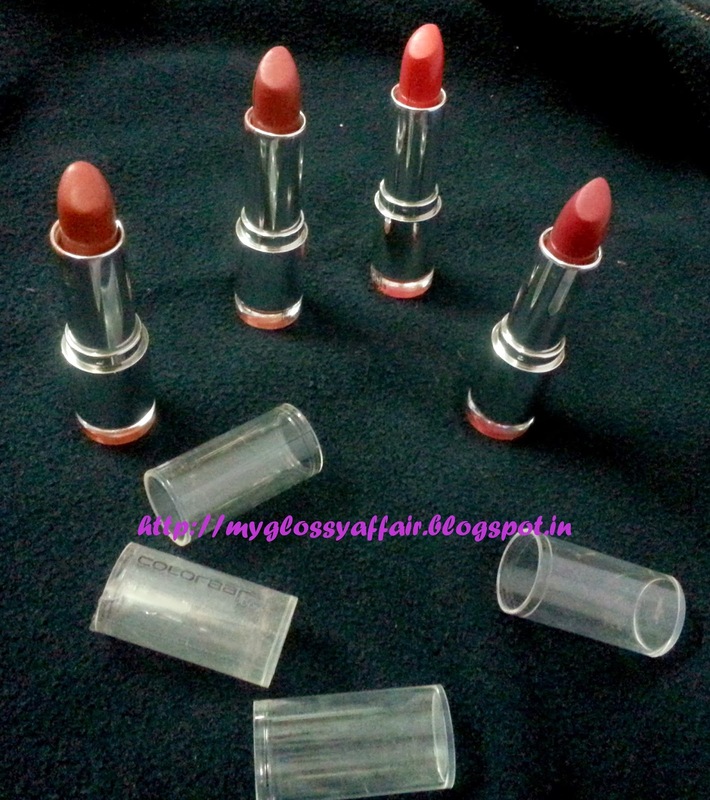 Cream Cup is a brownish color with a pink undertone and again suits Indian skin tones well. Pretty Please is an orangish peach color and that suits fairer tones more but I got it :). 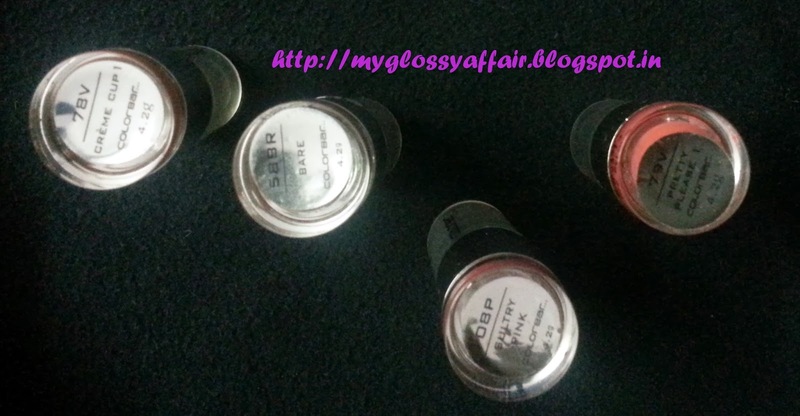 Bare is again a soft pink shade, almost pale pink and looks good on all skin tones. 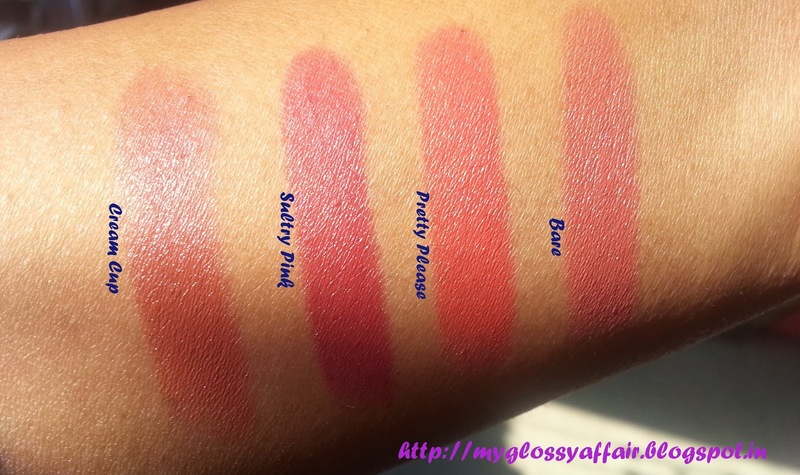 This range from colorbar has amazing staying power. These don’t budge from lips the whole day and even after that you have to do struggle to remove them :).